Creating a website for your charitable organisation is a fantastic way to reach a wider audience and spread the word about your cause. It opens you up to an international platform and you can even collect online donations to help your fundraising efforts. 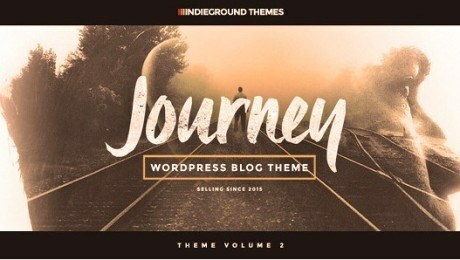 For today’s post we’re rounding up ten of the web’s top charity themes, so click on any that you like the look of to see more information. Pray is a premium WordPress theme designed for charity and non-profit websites that want to fundraise online. 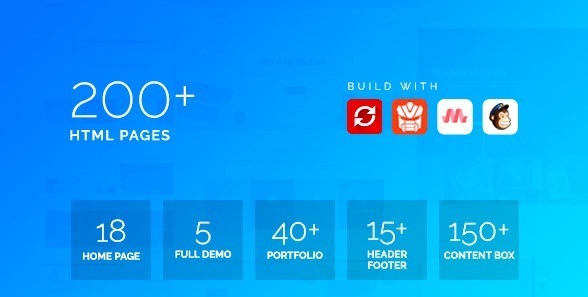 With Visual Composer, Slider Revolution, WooCommerce and One Click Import all bundled in with the theme, you’ll be able to create a sophisticated website in no time. 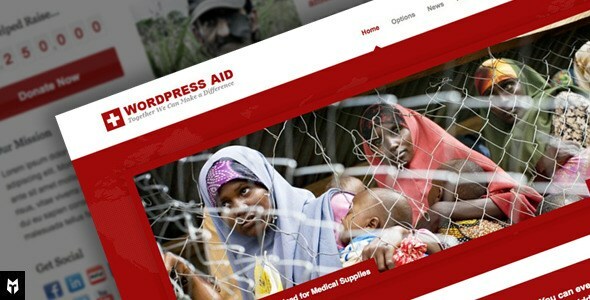 Kulebe is a retina ready charity WordPress theme created with HTML5 and CSS3. 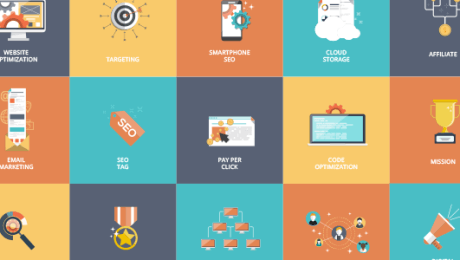 It comes with plenty of plugins included, such as Revolution Slider and Visual Composer that make creating your site simple and straight-forward. 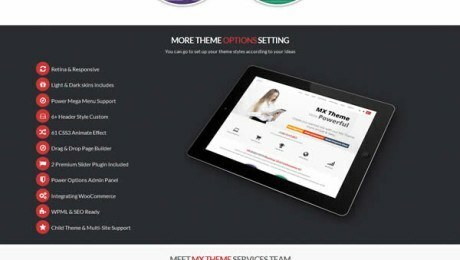 This diverse multi-purpose HTML template has been designed to function for all business types, including charities. 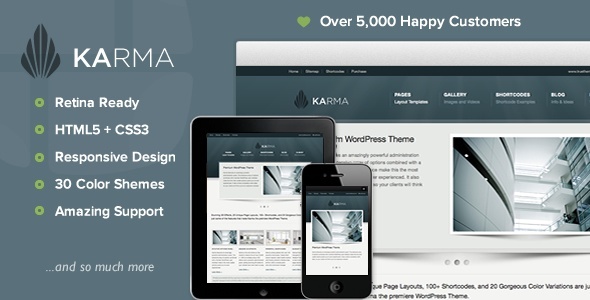 It features over 40 portfolio pages and one of these is specifically designed for charitable and non-profit businesses, giving you everything you need to get your site up and running. Created for NGO, charity or donation websites, Charity Village features a donation countdown button, an on-trend parallax effect and cross browser optimisation to ensure your site performs perfectly on every device. 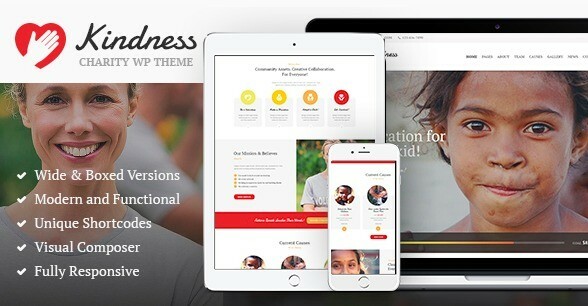 This modern theme features functional design and powerful plugins that will help you design the perfect website for your charity. The ThemeRex Donations plugin is a particular highlight, which assists with fundraising campaigns and allows you to accept online donations. 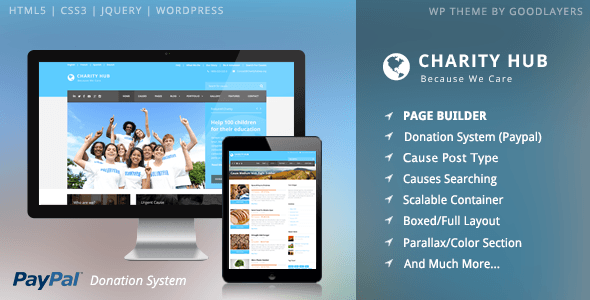 Created by Goodlayers, Charity Hub is a high quality WordPress theme that features a PayPal donation feature for online fundraising. Different post types allow you to list causes your charity are working with so you can keep your patrons updated on your progress. 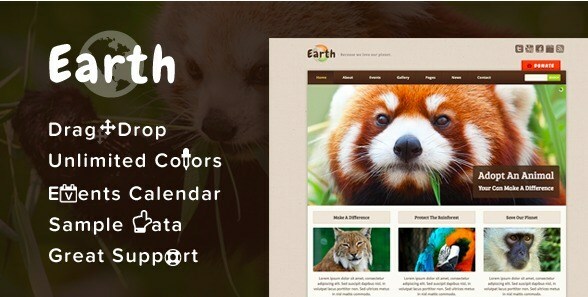 Specifically aimed at environmental non-profit organisations, Earth features a drag and drop page builder, events calendar, donation button and a fully designed blog section, so you can update your readers on your latest ventures. 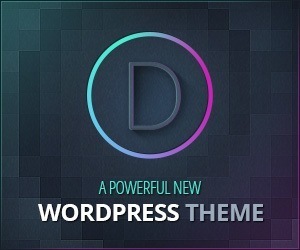 This premium theme is SEO optimised and features responsive design and bulletproof code. Over 30 colour schemes mean you have full control over the look of your site, and dedicated support staff are on hand to answer any queries you have about setting up the site – making this theme a great choice for those who are less experienced with web development. 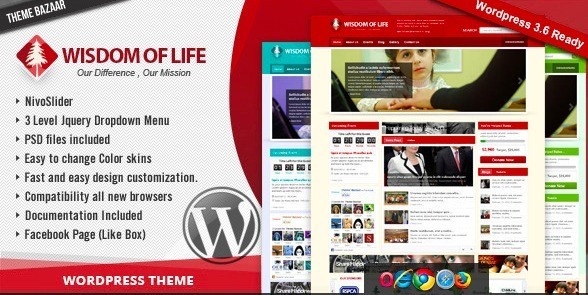 Developed for NGOs and non-profits, Wisdom of Life allows you to match your website to your branding by choosing from numerous colour schemes and styles. The countdown widget is a great way to spread the word about upcoming events and Google Ads support will help you boost your online donations. A great choice for a charity website, Aid’s primary focus is on raising funds but also features great blog and post options to allow you to keep your visitors updated with your organisation’s latest news and on key issues of your charity’s mission.